SALTON CITY, Calif. -- El Centro Sector Border Patrol agents arrested two suspected drug smugglers in Salton City Wednesday, after discovering packages of Mexican candy laced with methamphetamine in their vehicle. The incident occurred around 4:30 p.m. when the agents encountered a 48-year-old man and a 47-year-old woman riding in a white 2012 Nissan Frontier at a checkpoint on Highway 86. 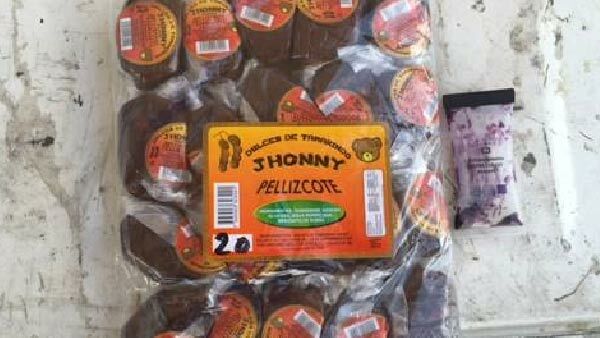 A Border Patrol detection K9 alerted officers to the rear cargo area of the SUV upon inspection, and agents found several boxes of the tamarind candy "Dulce de Tamarindo" in the bed of the truck that tested positive for meth. "Criminals continue to come up with creative ways to smuggle their narcotics and agents continue to do whatever it takes to stay one step ahead of them," said Indio Patrol Agent in Charge Scott Garrett. The man and woman, both lawfully admitted permanent residents, the vehicle, and narcotics were turned over to the Drug Enforcement Administration for further investigation. U.S. Border Patrol agents within the El Centro sector area seized more than 445 pounds of meth during the last fiscal year.